From Lamkin's Insta, and it looks like JRose has already switched to them. These look good. Really good. wow, I like the looks of that a LOT. They look really good - Glad Lamkin is fired up about them. That's what those are! Love the look. Kind of kicking myself for just regripping my entire set. The Sonar texture is LEGIT. They should be, could be killer for them and fill that void for those who don't want cords like the UTx, but also don't want the kinda wild texture mixes of the normal Sonar's. Hmm. More tapered then the Original Sonar? 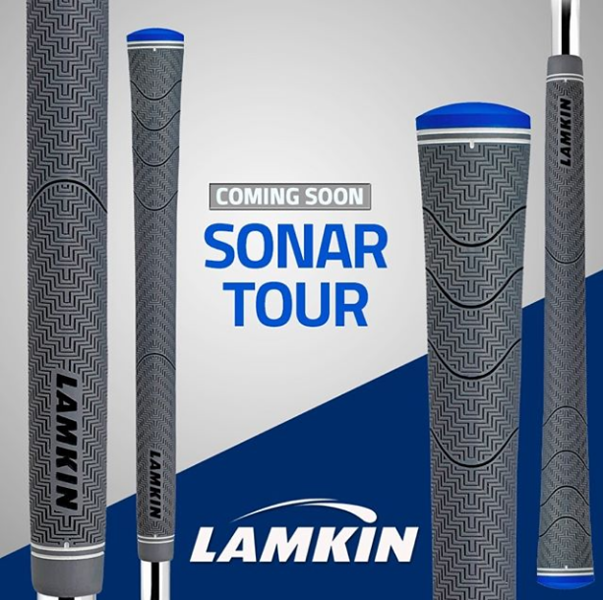 I liked the Sonar sample Lamkin sent me, but this gray Tour model would look great on my irons, as I prefer gray over black grips. I wonder how much difference between the two, and if it will come in a midsize. Those grips would look outstanding installed on a set of Mizuno JPX 900 Forged irons with Project X LZ shafts. It's quite the coincidence that I own that exact combination. Wonder how the color resists dirt. I like Lamkin annnnnd I like blue. Hello grips for metalwoods in 2019.